FCS posted this one on Facebook this morning. 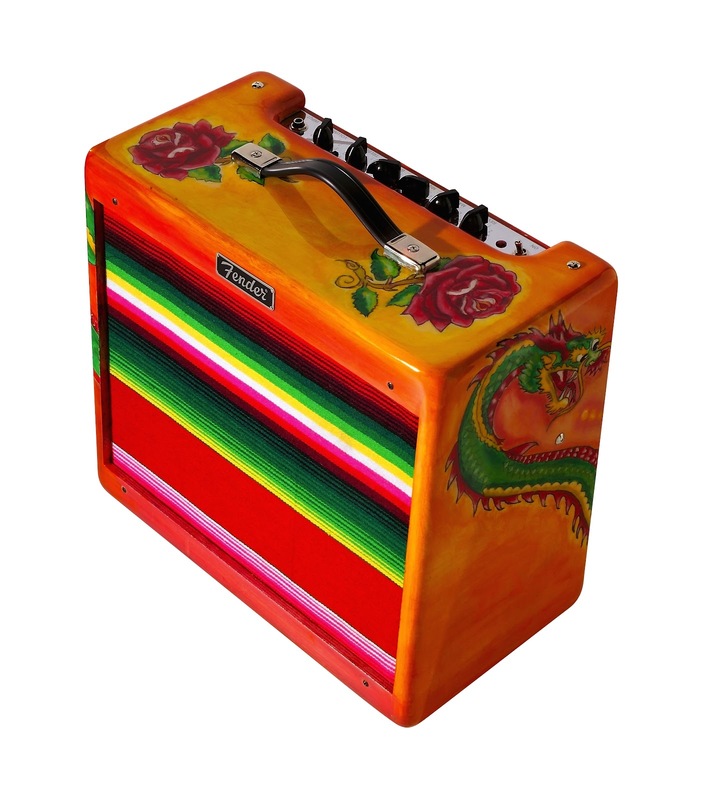 The La Florita was originally a 2005 one-off, Chris Flemming Masterbuild with all the artwork by Blues guitarist Kid Ramos. It features a light ash body, vintage hdwr and Custom Shop 50's pickups. 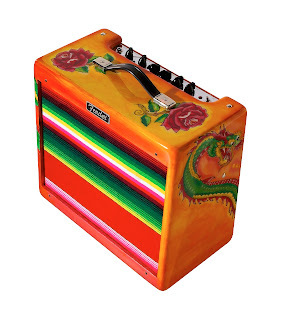 The matching amp is a Blues Jr. Note: Special thanx to Pauline France at Fender for help with specs and pics! "REGARDLESS!" This is hot July Friday feature! 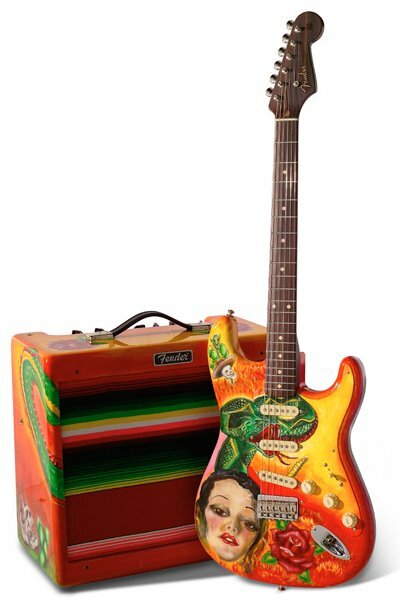 Notice Kid's Esquire/Humbucker config; a precursor to Fender's La Cabronita model.